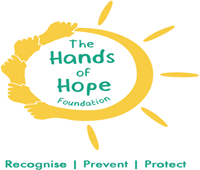 The Hands of Hope Foundation’s mission is to empower children against sexual abuse, by creating awareness, and educating adults to build an empathic society, free of all forms of violence. Our mission is to help children recognise, prevent, and be protected from any form of sexual violence through proper education & awareness, and to build a safe, happy, environment for the present and future generations of our society. To recognize and prevent all forms of violence / abuse on children and women, through research, education and awareness programs. To harness every adult’s partnership & strength in creating a safe environment for our children. To provide a well-rounded support system of mental and physical well-being to all survivors of abuse by engaging legal systems, health care providers, counsellors and mental health practitioners.